Dodgem by Design was whelped on January 15, 2000, the son of Gable Dodge and Cruzin By Design. The red male was bred by Rod and Sue Boatright and owned and raced by the Charter Kennel. His career started in 2001 at Tampa, where he won Grade A in his 7th start. Sidelined for over a month by a minor injury, he returned to win two straight and finished the year with a 25-11-3-2-2. At Derby Lane he made the finals of the All Star Kennel Preview and won the Derby Land Sprint, defeating Talentedmrripley and Kiowa Sweet Trey, who were later inducted into the Hall of Fame in 2008 and 2011 respectively. The next week he defeated Talentedmrripley again when he won the Matinee Idol Stakes. He finished 26-9-6-4-3 at Derby Lane. 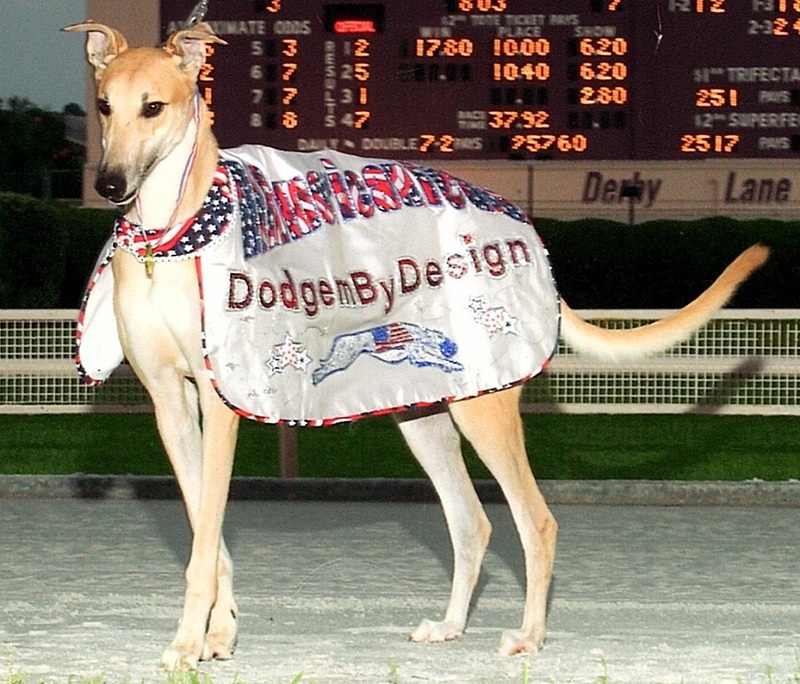 Dodgem by Design then returned to Tampa where he finished behind fellow All-American Ben Awhile in the Tampa Sprint Championship and ended with a 17-8-3-0-1 record. He made the finals of the Kansas Bred Sprint at the woodlands and returned to race at Derby Lane, retiring in 2003 with a record of 84-32-13-8-9.